Cloud computing is big business – but that’s not to say it has reached its final stage of development. And even though cloud service providers of SaaS, PaaS, IaaS and NaaS do have layers of firewalls, intrusion prevention systems, and other security protocols in place there still remain security risks. This is being addressed by many providers who realize that a ‘one size fits all’ approach will not cover issues of authentication, privacy and security. 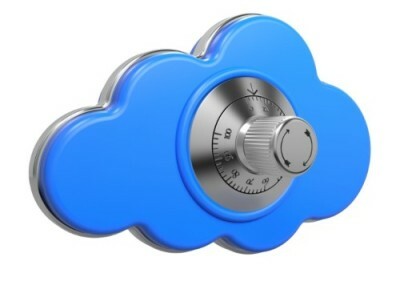 To understand if the cloud is secure enough to host your business data, we are going to look at the potential security risks and provide tips for business who are thinking about entering the cloud. These very words may make many companies shudder at the prospect of incorporating their business into the cloud. There is the potential for a careless cloud service provider to lose your data or for a malicious hacker to delete it out of spite. This is bad for business and could potentially lead to trouble with the authorities if data is regulated by certain laws. A single flaw in an application can leave clients’ data at the mercy of a hacker, while offline backups can reduce data loss but increase exposure to breaches. This could be a current employee or a business partner who has gained access to business data for malicious purposes. The only option is that companies remain vigilant of the internal security of their business data. If a hacker gains access to the cloud they may be able to break encryption keys that would otherwise prove too difficult for a standard computer. This is why providers of cloud computing services must be attentive of security issues. Many businesses are jumping into the cloud because it is the next big thing and without being aware of the associated risks. Companies must take steps to familiarise themselves with the infrastructure of the cloud, while good cloud services providers should have options for training in place. The underlying components of the infrastructure that make up the cloud, whereby infrastructure, platforms and applications are shared, can mean the whole picture is at the mercy of hackers if access is gained. There is still little in the specific standards for security of the cloud. This is partly because some believe that in its current stage of development this would be a restriction. Most providers are waiting for the cloud to be fully formed before considering the notion of entering into a standardised industry, but that is not to say there are not certain standards in place. The important question to ask a cloud services provider is which ones they abide by for their SaaS, NaaS, IaaS or PaaS system. Consider an independent audit of the security standards of the host. Be alert to access privileges and other security issues after updates. Evaluate which third parties your cloud computing service provider works with and if they will have access to your data. Take time to analyse how your own security policies will be maintained by your cloud provider. Question what availability guarantees and penalties are in place. Be vigilant of passwords in terms of creation, protection and modification. Question where the data will be held and about data protection laws in such jurisdictions. Learn more about Evolve Recruitment Software.